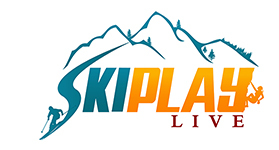 2015 Season Ski Passes Already? - Ski. Play. Live. 2015 Season Ski Passes Already? Are we really calling the end of the season already? It’s the second week of March and Vail Resorts has just put next year’s Epic Pass on sale while other resorts are rolling out spring pass offerings. for the 2014-15 winter season. The remainder of the balance won’t be due until mid-September even though you’ll be able to ride the lifts all summer. The price has gone up $40 but it’s still a decent deal to ski California, Utah, Colorado and Japan. Noticeably absent from the mix, however, are free ski days in Arlberg, Austria, and Verbier, Switzerland, that were part of the 2013/14 Epic Pass. Purchasers of an Epic Pass will also receive six Buddy Tickets (that’s $74 each at Canyons) and six Ski With A Friend tickets ($91 at Canyons) that can be used this spring; but that’s nothing to rave about when you consider the straight ticket price after March 31, 2014 is $73. Best to save them for next winter. Snowbird’s $499 spring tram unlimited pass went on sale March 1, 2014, but drops to just $329 on April 1. Most Utah resorts will close in mid-April but let’s hope we get some late season snow storms to keep Snowbird skiing sweet past May. The other Utah resorts have yet to release their 2015 pass pricing details. I don’t know how they do things in Europe. Sorry! Oh wait, are you referring to using hte Epic Pass in Europe? If so, it depends on the resort. YOu would need to contact the epic pass office in CO.